The anti-GE sentiment had been simmering for some time under the heat of GMO-Free Hawaii, Hawaii SEED and other activists groups in Hawaii and on the mainland. 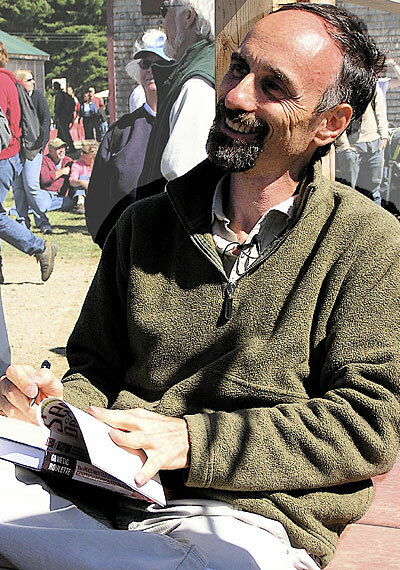 “For nearly a decade, an impressionable anti-GMO mob mentality has been carefully cultivated in Hawaii by slick and well-financed outsiders,” said Jon Entine, a journalist with the Genetic Literacy Project. Anti-GMO activists includes Hawaii SEED, which received $374,040 in 2011-2012 from the Ceres Trust of Minnesota. 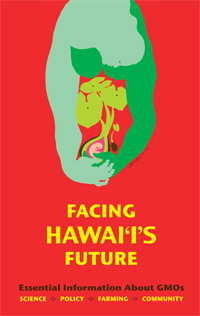 These funds helped produce the ‘Red Book’ or Facing Hawaii’s Future: Essential Information About GMOs, a compendium of 19 basic articles, most under five pages, on topics ranging from what a GM plant is to policy issues to community activism. Most of the 15 authors are well-known activists in the anti-GE campaign in Hawaii, including Bondera. If there is a bible for the anti-GE movement in Hawaii, this is it. The first public comment meeting on a bill to restrict GE crops on the Big Island turned into a marathon session for the Hawaii County Council on May 14, 2013. Nearly 100 people were given three minutes each to speak on GE crops and GMOs in general. All hearings were videotaped and made available to the general public. In the first public hearing, most people spoke with a great deal of passion. All but a few of the speakers wanted to ban GMOs and strongly expressed their ideas: “They are killing animals and will likely kill people;” “I am against GMOs because they promote and encourage the use of pesticides in their crops;” “Biotech industries are given free reign by our Federal Government to regulate themselves;” “We have all seen the pictures of rats with giant tumors and we know the massive bee die-off is caused by Bt toxins;” “In India GMO cotton causes cows to die.” The use of GMOs was likened to “pesticide holocausts” and people claimed that various cancers, respiratory issues, infertility problems and miscarriages were caused by such crops. Perhaps the most intriguing remark made by a GMO opponent was that there are two types of people: the “thinkers” who want data and the “feelers” who act intuitively. The woman who made this remark believed GMOs were evil and it seemed unlikely that anyone or any amount of data could convince her otherwise. Click to read next chapter.